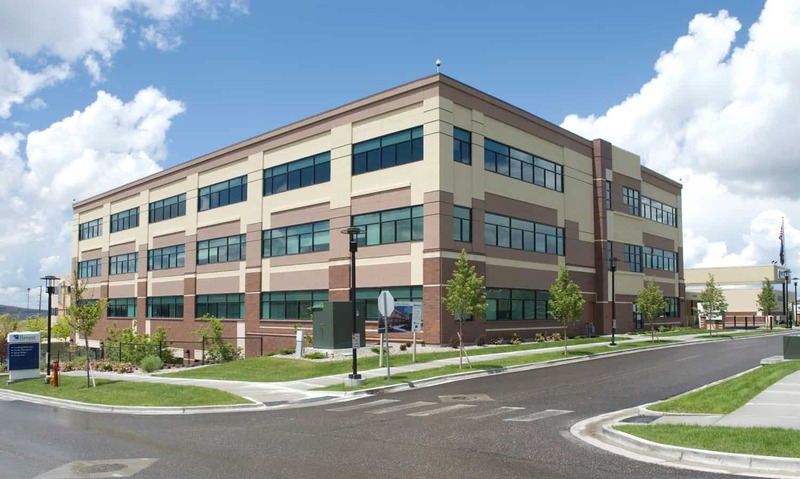 Portneuf Medical Center, a county-owned hospital, wanted to consolidate their hospital campuses to a new, state-of-the-art campus on the east side of town. 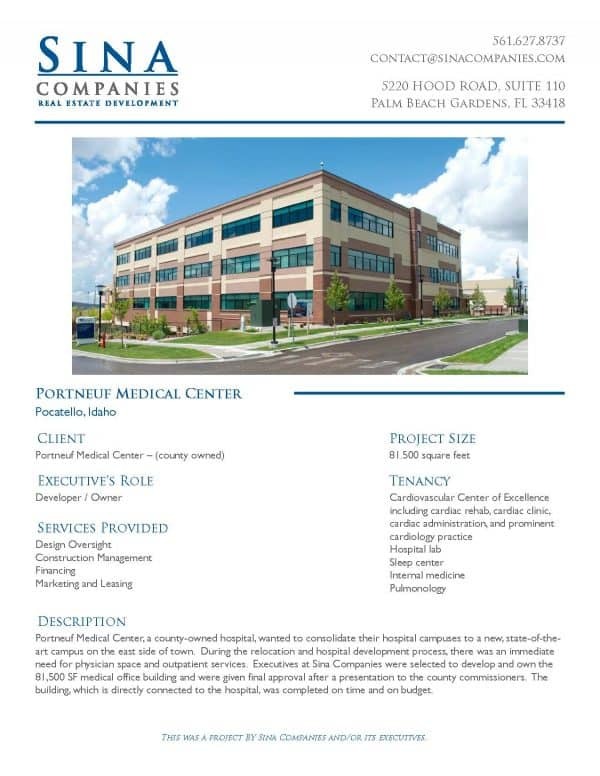 During the relocation and hospital development process, there was an immediate need for physician space and outpatient services. Executives at Sina Companies were selected to develop and own the 81,500 SF medical office building and were given final approval after a presentation to the county commissioners. The building, which is directly connected to the hospital, was completed on time and on budget. Copyright © Sina Companies 2019. All rights reserved.